Founded by Cliff Engel, the International Institute of Bassists (IIB) was an online resource dedicated to the advancement of contemporary bass performance and the study of the bass tradition. 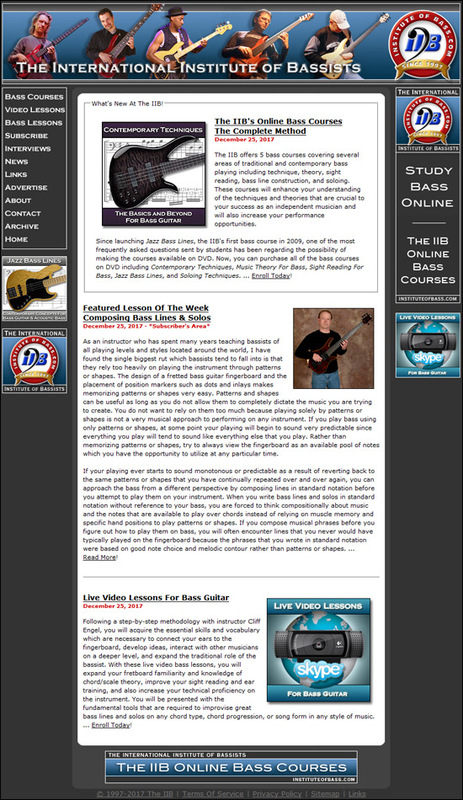 Between 1997 and 2017, the IIB became one of the largest and most popular online publications for bass players. 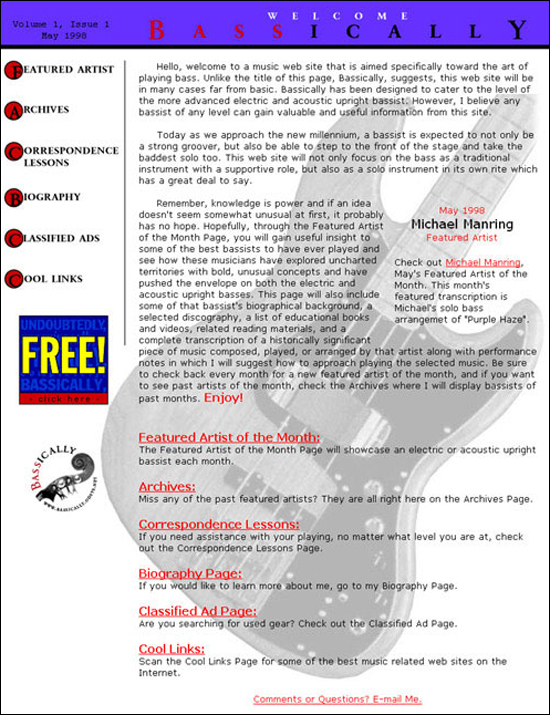 Thousands of electric and acoustic upright bassists of all levels of playing experience, from novice to professionals alike, returned every day for the latest lessons, interviews, news, and reviews in the bass community. The IIB offered six online bass courses covering several areas of traditional and contemporary bass playing including technique, music theory, sight reading, improvisation, bass line construction, and soloing. Over the span of 20 years, the IIB's worldwide network grew to include a student enrollment and subscription list that numbered over 50,000 bass enthusiasts.